The first few weeks of February have been extremely fruitful for winter programs within the Southern Connecticut State University athletic department. These Owls haven’t had to worry much about seeing their own shadow due to the collection of trophies accumulating inside Moore Field House. Since the turn of the calendar to February, Southern Connecticut’s teams have claimed four Northeast -10 Conference team championships, four more individual awards and one additional team runner-up placing. 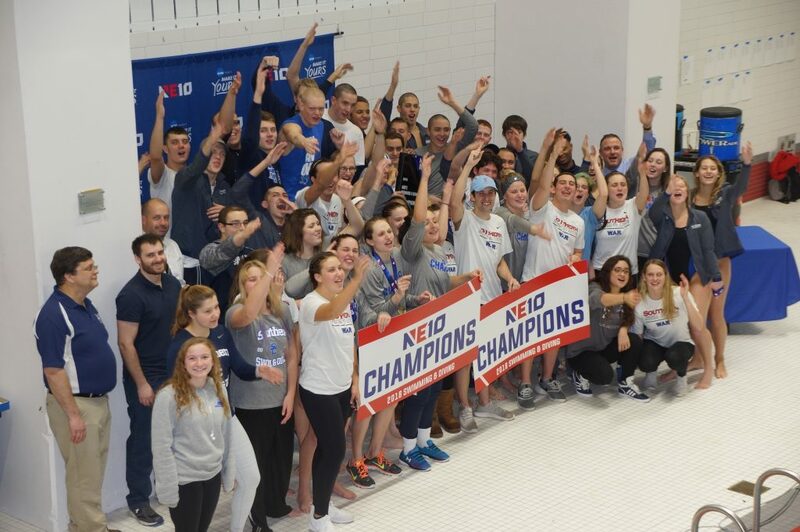 Things kicked off with the men’s and women’s swimming and diving teams each capturing NE10 Championships on Feb. 11. 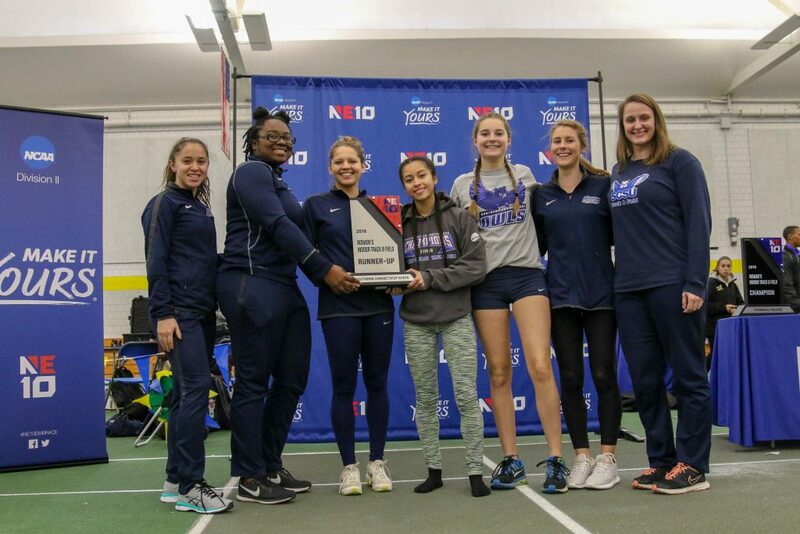 It was the 13th title in 16 years for the men and 12th for the women – bringing the program’s combined total to a whopping 25. In addition, Katherine Crochet (Watertown, Conn.) was named the Women’s Most Outstanding Swimmer for the second time in her career while Tyler Prescott (Meriden, Conn.) collected Men’s Most Outstanding Swimmer laurels. 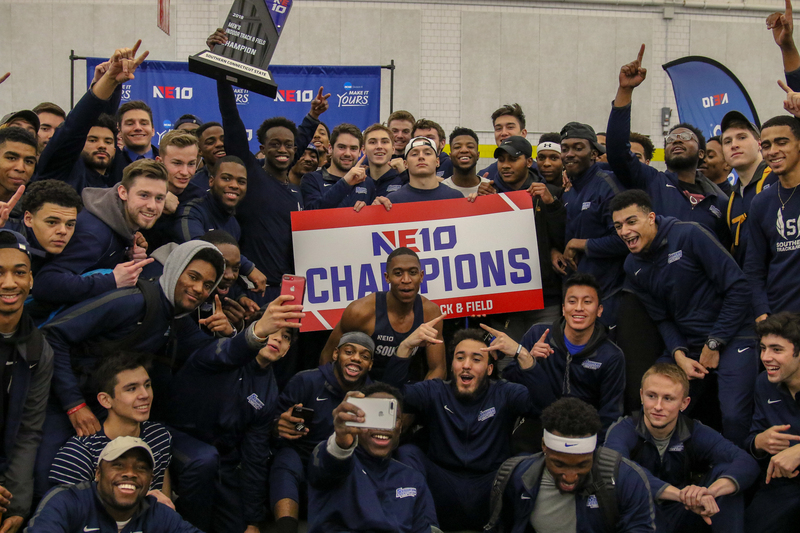 Thirteen proved to be a lucky number as well for the men’s indoor track and field team the following weekend as the Owls won their 13th NE10 indoor title and 27th overall. The women’s squad also finished as the runner-up for the fifth straight year. Destiney Coward (East Haven, Conn.) was named the Most Outstanding Field Performer for the third straight year after winning both the shot put and weight throw. On the men’s side, Turner Kelly (Amityville, N.Y.) earned the same honor after also taking the top spot in those two events. Photo: © Brian Foley for UNH Athletics. 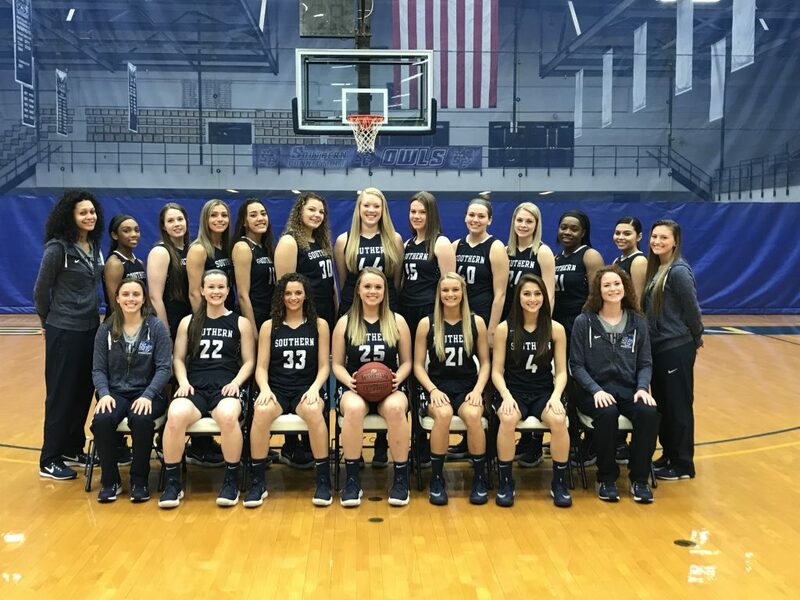 Finally, the women’s basketball team claimed its first-ever NE10 Southwest Division title when the final game of the regular season concluded on Feb. 20. The Owls ended the regular season with 20 wins – including an earlier triumph over Division I Rhode Island – and are poised for a run deep into the post-season.